bottom of this form will be considered sold.  You may girth the saddle and ride.  Ensure that the billet guards, if any, cover the girth buckles.  Please do not oil or clean the saddle while on trial.  Keep the saddle covered and protected at all times. Please do not leave it in the barn or your vehicle. rubs on the flaps, scratches in the leather, dings or cuts in the pommel or cantle. surcharge of 10% of the saddle value. Decision of the management is final. ten business days must elapse before a refund check can be issued. You will be given a copy of this agreement for your records. By signing below, you have agreed to the terms and conditions listed above. Thank You!! 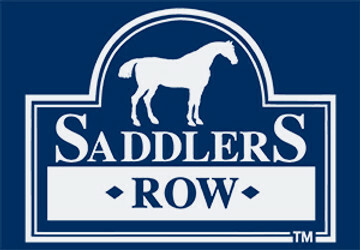 must contact the store within the 7 day trial period and ship the saddle back, via UPS Insured, or it is considered sold. 776-6574. Be sure to keep a copy for your records. any questions, please call us at 888-710-7171. Thank You!!  You may girth the saddle and ride very lightly. Please limit your ride to a maximum of 10 minutes. use Vetwrap or any other abrasive material.  Wear short riding boots. Please do not wear chaps, half-chaps or tall boots. use the soft material (above) to contain them.  Please do not oil or clean the saddle. days must elapse before a refund check can be issued. sure to keep a copy for your records. any questions, please call us at 888/710-7171. Thank You! !